While I am not much of a golf player, I participated in a golf tournament over the summer. It was a very friendly setup with teams of four playing against each other. Each player of the team hits his ball, and the ball that lands in the best position determines the starting point for every one of the team for the next stroke. The fact that only the best shot of the team counts, definitely makes this style of tournament more accessible to novice golfers (people like myself). And it did help (a lot) that we had a great golfer on our team. So while most of the time the shot of our best golfer was the one we took forward, there were multiple ways in which “the lesser golfers” were able to contribute. And I am not just saying this to make me feel good about my role in the team. There is a lot to be said about learning from example. Every time someone strikes the ball, the others can learn about which club to use, which direction to aim at and how hard to hit the ball. Plus, whenever someone made a good shot, it enabled the next person on the team to take more risk to make a great shot. This inevitably takes me to the prototype world. Partitioning a complex design across multi FPGAs of a physical prototyping system has a lot of the same characteristics. Depending on the utilization and performance achieved by one particular partition, you can set constraints to guide the partitioning tool to improve the partition in a certain direction like e.g. achieving higher performance or lowering/increasing utilization of a particular FPGA. Learning by example and refining results are keys ways to improve a prototype and merges the best of two worlds: automation of the prototyping tools combined with the prototyping engineer’s design knowledge and understanding of the prototyping goals. Important to enable such fast iterative partitioning is the ability to run partition iterations in minutes rather than hours. It is also critical to understand the real system level timing. 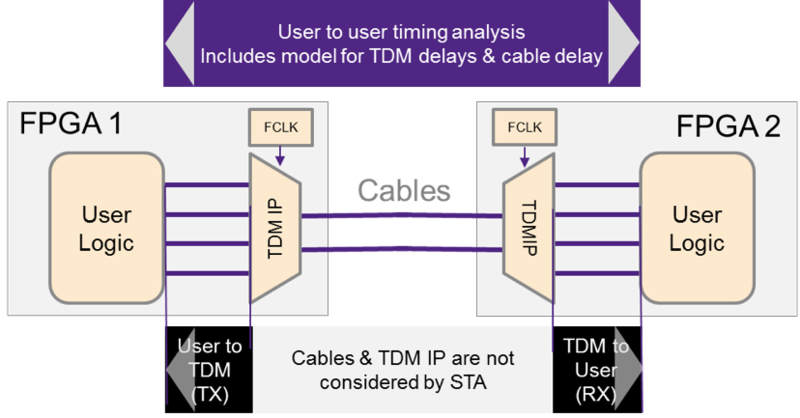 Where standard FPGA tools support static timing analysis, which is good enough to map a design on a single FPGA, true prototyping tools need to enable timing analysis across the FPGA boundaries including information about delays from the TDM IP and cables. To maximize prototyping performance, timing aware partitioning features should include auto clock replications, multi-hop optimizations, timing driven system route and FPGA SLR-awareness. The HAPS-80 prototyping solution provides integrated prototyping hardware and software. This enables the prototyping tools to have knowledge about the physical prototyping system. It is like a golf pro who has played a lot on a particular golf course and knows the location of every tree and sandbank, understands how to account for changes in the weather conditions and how to leverage his team to maximize the result. Prototyping is a team effort, but with good tools it is much easier to achieve your performance goals in the shortest bring up time. This post is filed under HAPS, Partitioning.